Put this together for my entertainment center. Not as easy to work in as the 250D but not too bad. Typically need to pull the radiator out to get anything done. Its mounted on 2 rails and 4 screws hold the rails in. Modified the 8 pin CPU power connector to get the H105 to fit. Get's a little warm when I run IBT, but normal use never pushes the CPU that far. Using Speedfan to set a fan curve the SP120's stay quiet, until it get under medium to heavy load. Noise is still tolerable at that point. Much better in that regard than the shuttle XPC's I've built. Awesome gaming PC and fits in my entertainment center. Still waiting on the white 24 Pin power cable before finishing up the wiring. I opted to put the 4TB drives in a raid 1 an external USB enclosure, makes for a reliable mobile media library. I feel like this thing should have racing stripes. Update 3-31-2015: Hey look at that! Over 100 likes, and ranked in the top 1.5% of completed builds on this site! Thanks everyone! makes me feel all warm and fuzzy. Still need to change the 24 pin power cable. I have it, just been lazy, also the PC has been getting heavily used in the living room with all vids for the kids, and my gaming and movie needs, so there's very little time when its not in use. Update 7-31-2015: Replaced 980 with 980Ti, finally installed that power cable (see pics if you want), Installed windows 10, and gave it a good cleaning. Changed the name to something a little faster sounding. Update 4-13-2016: Flipped the H105 so that the hoses are now towards the rear. The hoses really push hard on the rear fan, looks like I'll need to notch the fan ring or oval the mounting holes for the radiator. I also had to remove the EVGA IO cover. I did this to make room in the front for the H75 I installed for the HG10 980. It was a bit difficult to double thread the screws through the case and then through the H75 radiator. Got it done though and everything fits... barely. The only concern is the pressure from the H105 hoses on the rear fan. I used one of the case fan headers for the H75 pump and removed the stock paste (after a stupid mounting mistake on my part) and applied some gelid extreme. The system is overall quieter, but the HG10 fan doesnt go any lower than 1600 RPM or so. This causes the idle noise level to be ever so slightly louder, as the HG10 fan is much more audible than the ACX 2.0 at their lowest settings. It should be noted that I'm using precision X to create a fan curve for the GPU and an overclock. Memory up to 1800 mhz, core to 1400 mhz and +18 mV. I suppose I could use the quiet or default fan profile for the GPU which would set fan to 0 RPM at idle. Temp wise I notice the whole system is a few degrees cooler overall. The GPU now idles a bit lower at 26C and under load is much cooler than the stock ACX 2.0. Even with GTA V max settings I haven't been able to push the GPU temp over 55C. Sticking with speedfan for custom fan profiles keeps the system quiet and increasing fan speed in the rights spots in relation to the components they are cooling. I've posted some picks, sorry for their poor quality and the excessive dust. I need to bring it into the office for a cleaning, at which point, I'll take some better pics. Your GPU looks double the size of your motherboard. So you've got that going for you. Which is nice. Nice, never thought about that before, I never realize how small the mitx boards are until I have them out. Yet they have everything that the average Joe needs. Yes there isn't much that this can't do for the entertainment center. I haven't used an optical drive in years, but I know some people might miss it. What is a CD? Sounds like a medical condition. Just wondering,do you really need a TB of SSD? Either way, nice build. Packed to the ****! Yes if I install all of my games, It gets pretty filled up. Need? Probably not, but its nice that its there. Just something about a 380T build that makes me stare in awe. I've been oogling over this case since its announcement at computex in June. It just looks good, and I am a big fan of SFF PC's. Even though this is a little large for that category, its still small enough to fit in my entertainment center. Me too, but I worry about longevity, with yellowing, uv, dirt and dust. That and keep it away from windows, both open and closed, since exposure to other elements in addition to sunlight is also what tends to degrade plastics. Amazing build man! There's just something about these small builds that looks amazing! +1 from me for sure! The small builds are really fun, and you don't have to sacrifice performance, just PCI-e slots. Which is ok, one high end graphics card beats out most SLI'd mid ranged cards. Yup, it's a small price to pay for the conveniance of small size! Thanks this was my favorite build to do, just one more cable and some more cable management. Then it will be finished. This is pretty dope! I have a couple questions for you if you don't mind. 1 how is the air filtration in that case? I really wanted to start my next build in the 380 but my OCD flared up thinking of the dust. 2 did you purchase a LiNK module separately. I don't see the PSU you bought but its listed as the 760 not the 760i. 3 did you do your own cable sleeving or did you alter some pre makes to suit your purposes. In one of your pics it looks like you stripped the CPU 8pin. Anyways you stuffed a h105 in there that's freaking sick. Also I've heard that cable management in that case is a freaking nightmare but you did a pretty damn good job. Grats on the awesome build. It is the 760i, guess I need to fix that. The cables are corsairs pre made ones. I canibalized an old PSU's 8 pin connector to create a low profile one. After a test fit it was just a matter of removing the good connector on the cable set with my modified one. I used a paper clip to carefully remove the pins. They make special tools for that, but a small paper clip works too if you're careful. I know the naked terminals show a little bit, which wasn't ideal, but they are stiff enough not to touch each other or anything else and the shrink tubing covers them enough so they don't make direct contact with the radiator. Cable management in this case was actually a bit easier than the 250d due to the many zip tie "hooks." It's an art and takes patience, you just have to get creative with it. For example using the fans them selves to shorten their own cables by wrapping the cables around them. It is the 760i just doesn't show in the description, but If you click the link it is. Excellent. Very classy for the living room. That's beautiful, I wish I had decided to go with a mITX, I kind of regret buying a full tower and not justifying it at all. I have a buddy at work who was really stuck on the full atx boards and cases, I've been using them for quite a while now. Had 2 shuttle xpc's before this. To win him over to the smaller matx and mitx form factors, I had him explain to me why he needed all of those extra things he would probably never use. Unless you want to do 3 or 4 way SLI or have a bunch of pci-e cards or have way too many hard drives, there's nothing you can do with full atx setups that you can't do with the small form factors. They do require more planning for a clean look and can be a bit tight to work in. Yeah, I literally have two drives (3.5 & 2.5), one GTX 760, all housed inside a Phanteks Enthoo Luxe (which is a great case! just not justified). And an MSI Z97 Gaming 7. Also weird that typically the small form factor boards and cases cost just as much if not more than full atx. Just moved this over from the 250d, which is a bit easier to work in, but imo this case looks better. I definitely has better airflow over the 250d. I still really like the 250d. I like to keep them on, as it looks cleaner and they are filtered as well. Helps keep the dust out. Me too, though I do wish they made it a little wider for water cooling and allowed the entire front area to be open for a rad too. what do you think about that motherboard ? im thinking about purchasing it but kinda worried cause the reviews. I've had pretty good luck with this motherboard. This one and my z77 stinger were both very stable, but still a bit quirky in the BIOS. This z97 stinger being much less quirky than the z77 stinger. This one will lose the CPU voltage setting and reset my overclock once in a great while when I reboot. Its just a matter of going in there and setting the voltage setting back to what I had it at and everything is back to normal. Not sure what causes it but it happens so infrequently that its not a big deal. The reason I went with this board over say an ASUS is because 1. I like the EVGA video cards the best and I like my hardware to match. 2. ASUS customer support and website are some of the worst I've ever dealt with ( and I've dealt with a lot) 3. I like the black PCB on this board and the lack of a bright color scheme (like red, everyone seems to do red). IMO I would recommend it. The pro's that fit my wants/needs outweigh the slight quirkiness with the BIOS. Maybe someday EVGA will build a BIOS update for their products that has no issues. Until then the hardware performance and quality are still top notch. Dont forget reviews are biased. People love to complain. How many positive reviews have you written for products your happy with? I'll bet most people write more negative reviews than they do positive ones. thanks a lot i really love this board for the visual appeal as well as the layout and i was just wondering how the board performs and if it was super flimsy. thanks a lot i appreciate it ! Dude, this looks absolutely amazing! I'm actually really, really ******* happy you posted this, because I was actually thinking of finally sucking it up and saving up $ for a build almost exactly like this (I kid you not, almost exactly: Here it is) except for the cooling. 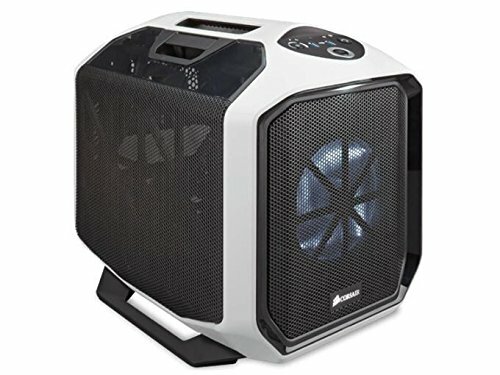 Which brings me to the question I had: what do you think of the cooling capabilities of the case in terms of air cooling? I'm leaning more and more toward an AIO because it solves a lot of problems in terms of space, but it doesn't seem to be doing amazingly in the case and despite countless positive reviews and widespread adoption I'm still paranoid about having any liquids in my build. I wouldn't be overclocking the 4790k too heavily (maybe like 4.2-4.3GHz). Also on a related note, do you have your radiator fans set as intakes or exhausts? Seems like with 4 intakes/1 exhaust the proportions wouldn't be too optimal, even though I'd prefer slight positive pressure. Thanks. This case has amazing air flow. It's much cooler than my 250D by 5-10 degrees on most components it seems. The corsair AIO's perform very well even in this case. I have some things going against me for temperature: My ambient temperature is usually very high 78-80F (25-26C.) Plus this sits in my entertainment center which doesn't have the greatest air flow, so the computer sits in its own heat more than something sitting on a desktop. Corsair's customer support and community reach is amazing. Their products are awesome too, their AIO coolers very,very,very,very rarely leak, and if they do due to defect they will cover any cost of damaged parts due to the leak, most likely with depreciation factored in. From what I can tell most AIO's out perform air coolers by a bit. IMO well worth the risk of the rarity of a leak. Besides even some air coolers have liquid in those heat pipes I believe. Stock the 4790K runs at 4.4GHz. The rad fans are intake fans pulling colder air from outside of the case through the radiator. 4 intakes, yes, positive pressure is good. The design of the case helps create a wind tunnel from front to back. The air from the rad gets injected into the tunnel and pulled out the back. GPU and system stays cool still. I thought about exhausting out of the front (I did this in the 250D,) but the fans dont look as good from that angle. I really fell in love with this case when it was announced at CES, corsair makes really good quality products. This is technically my 4th SFF build for myself, and my favorite by a very wide margin. Thanks a lot for the tips! I'll probably end up going with an AIO then. Glad to know the case is as good as it sounds/looks! Really like the look of this product. Particularly your fan layout and how the interior turned out. (led fans overrated) Going to be building my own one of these with a very similar set up next week. Any tips or regrets you have that I should consider? Thanks, regrets... none. The sides can be difficult to line up and attach properly, but I think once you do it a few times it gets easier. Plan your cable management out before hand if you don't normally do so. There are plenty of tie down locations to secure the cables. I'm also not sure how the 3.5" drive cage interferes with cable management. I took it out and never looked back, as I keep my storage drives in an external enclosure. Though looking at it and trying to fit it back in seemed like it would be difficult due to the modular psu and its cables. I've read and psu over 160mm wont fit, but those are typically high wattage ones and is overkill for anything you could fit in this build. The fans hooked up to the cases fan controller still we louder than i would like at idle even on the low speed. I like to use speedfan to control the fan speeds and manually setting the mobo fan profiles works too, though not as fine tune-able as speed fan. If your running everything off of the mobo you'll certainly need some fan splitters, as most mitx mobos only have 2 fan headers. This EVGA one happens to have 3 which is nice, but splitters still needed. Does your radiator fit rather tight on the side closet to the front of the case? Depends on your definition of tight. There is about a 4 ping fan headers width of space between the radiator and the front of the case, so about a centimeter? I personally would not say its tight. For me tight would be rubbing during and and after installation. Turns out I had a cable that was rubbing against the radiator but I was able to remedy that fairly easily. I still need to improve my cable management around the PSU. This thing is so awesome, thanks for posting this piece. I definitely have something that fits the minimalist layout of my entertainment room. BTW: 100% agreement with you about the fan splitters through the mobo. So much power in such a small package, you should call this "The Suitcase Nuke"! I have them running up to each side of the front grill. I just wedged them between a couple of the cases plastic pieces. If you look closely at the photos with the radiator laying out you may be able to see them. I've tried some regular bendable stalk antennas out the back on my 250d, but I believe because it sits in its own cubby in the entertainment center the signal wasnt as good, at least for the bluetooth. I run my dualshock 4 controllers off of it. Which is what I primarily use the wireless for. Its hardwired into the network, so unless its mobile I don't really use the wifi side of the card. I can still use the controllers from about 60 ft away in my bedroom, which is on a different floor and on the opposite side of the house. They aren't very reliable at that distance, nor can i see the TV from there, but I was surprised they still worked. The stalk style antennas on the back were never able to do that. Your fans, your wires, that beautiful GTX 980. Your 380T looks GODLY. I actually saw your build a while ago and was like "oh god, I gotta fix my wires", hahaha. Everything in your case looks VERY nicely done. Thanks, its been rock solid. Needs a trip to the shop for a cleaning, PSU cable install and OS refresh. Been lazy with regards to my personal computers, plus lots to do around the house and spending lots of time with my 10 month old daughter. I'll probably just wait to bring it to work until windows 10 is released. Full modular and individually sleeved cables makes cable management a bit easier and nicer looking. Considering some custom cables for the most refined look. Hows that stinger been treating you? I had the Z77 Stinger prior, both have been good boards Bios can be a bit quirky, more so on the z77. I still love 'em though. No major issues. I'm a newb builder, do you mind if I ask some silly questions? 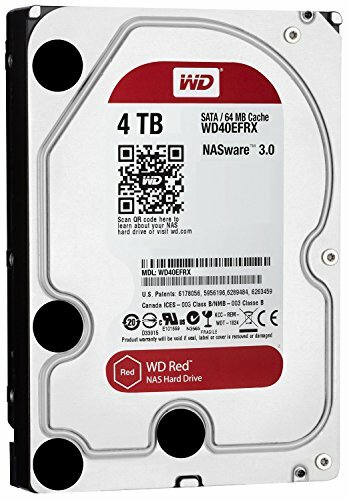 I'm currently also building my first PC with Corsair 380T & i7-4790k, but PCpartpicker wouldn't allow me to add more than 2 storage and other expansion slots such a sound card or that wifi slot of yours. How do you do this? To my understanding, 380T only has 2 expansion slots. Did you add some kind of expansion slot pub in it? I was originally just interested on adding that wifi card.. but oh well, I already bought a Gigabyte mobo with built in wifi. Do you also think I need cooler H100 (probably not?) and case fans if I'm not planning to overclock the CPU? Or would the built-in's fan case & i7's stock cooler would be sufficient? Would you also mine take a peek at my current build in saved part (if anything's lacking..)? +1 for your dwarf beast! A little bit. They are very nice fans though, and Corsairs support is phenomenal. So I think its worth a little extra for that. If you buy them in 2 packs $15 per fan really isn't that bad. You can get similar quality fans for a little cheaper, but with what kind of support? I'm curious to know how hot your build gets with your new 980 ti. I practically have the same exact build with this case and am getting temps of ~80 under load after I switched out my 980. System temps stay around mid 40's to low 50's under load. GPU Idles in the mid 40's - Mid 60's with regular gaming - OC scanner and 3d mark tests can push it to the upper 70's, and it is overclocked a bit. 1350 boost core clock (actually gets up to 1450 per GPU-Z) mem clock at 1800. Pretty satisfied with the temps considering the compactness of the system and the fact that it sits in its own generated heat in the entertainment center. That makes sense. Built my first computer last year using this case and used a Asus Strix 980 that was really quiet. When I upgraded to the EVGA ACX 2.0 980ti was just surprised at the heat/fan speed increase and was just curious. Ultimately I really like quiet, love the performance increase though. Kudos for using the sleeved corsair cabling and usage of wifi antenna. It would have been nice to know about those options last year when I was building it! If I ever decide to revamp the build I'll use the sleeved cabling and probably Noctua fans instead of the stock ones. Thanks. I was surprised about the noise increase from the regular 980 to the ti. I know its a more powerful card but wasn't expecting that much additional noise. At least precision X lets me create custom fan profiles, so normal use keeps it reasonably quiet (about the same as the 980). System and GPU temps are definitely a little higher with the ti. Overall just a few degrees, but those few degrees are definitely worth the performance increase. My Fire Strike score almost doubled from the regular 980. The sleeved cabling just looks better, ultimately custom length sleeved cables would be ideal. I just don't have the time or patience to build some. I suppose I could find someone who makes some. If you have the resources I would recommend going that route. The tyco antenna I use for the WiFi is by far the best antenna I've tried. All of the rear mounting external antenna with attached extension cables or not, do not perform as well as these tyco laptop antennas. At least as far as Bluetooth goes, which is what i primarily use the WiFi card for (The DS4 controllers). Rarely do i ever use the WiFi but works great when I do and nice to have when I need it. I really wanted to get some Noctua fans but couldn't get past the price and the color scheme. I know their "industrial" fans are black with brown noise dampeners, but the price is a bit high. Plus they still don't look as good as the corsair SP's. I wanted to go LED fans, but what I really want for LED fans aren't available. I really just want corsair to make the SP's with RGB LEDs for the interchangeable rings and/or LEDs for the fan blades (like their current LED fans). They should also be smart and programmable , so I could for instance, have them change color or brightness as the temps or fan speeds increase. I think that would be pretty sweet. Corsair where you at!?! I like your build though, you should move it to the completed builds and post some pics. I think ASUS has some of the nicest boards, but I had a horrible customer service experience with them for an RMA, so I refuse to buy their products anymore. Not to mention I think EVGA makes the better video cards and matching brands is more aesthetically pleasing IMO. Maybe I'm just a fanboy. Not many on here using the 380T compared to other popular cases. Post yours up! See, if I had to do it all over again I would totally go your route and make everything match. The white sleeved cabling, the white fans, along with the impeccable cable management is what sets yours apart. Been doing a lot of research, and I can either turn my 980ti back in (less than 30 days) and get a 980ti hyrbid somewhere when it gets in stock, or I can install an aftermarket water cooler that looks like it just literally came out from corsair. 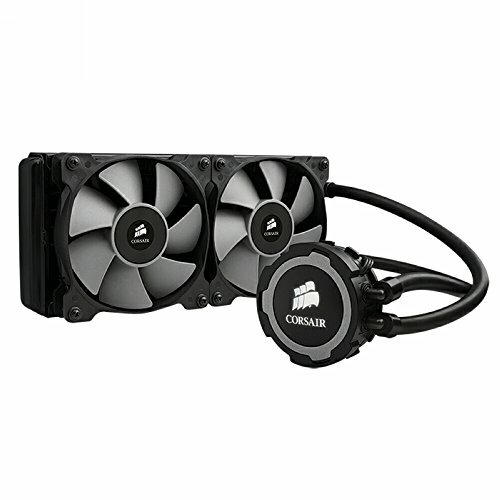 Check this out: http://www.corsair.com/en-us/hydro-series-hg10-n980-gpu-liquid-cooling-bracket Noise and temp levels are ridiculously low with this, and I'm seriously looking into water cooling for the GPU. Just never thought that this case could fit a liquid cooled GPU fan! Went ahead and put my build up, will be uploading pics soon. I've been waiting for that bracket, I think I will try it out. I have an H75 new in box waiting for just this purpose. I don't think Corsair has released it, I cant find any sellers yet. I should probably test fit the H75 in there to make sure it fits in the front with the extra thickness of the H105. That Loki build is exactly how i want to run it, though I may not do the pull fan on the smaller cooler, depends on fitment i suppose. I got 3 - 2 packs of SP120's so I do have one matching fan left. I think you could totally fit another H55 or similar on that side bracket if you can turn the cooler so the tubes are on the top (or bottom). 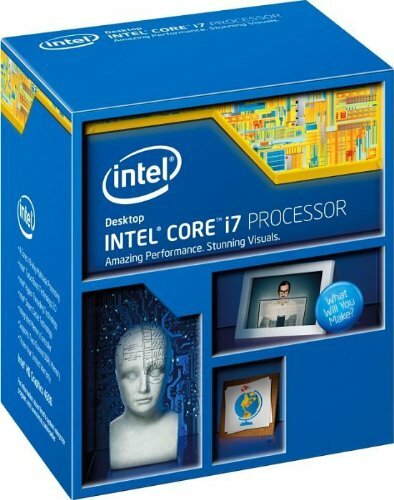 Or alternatively use the front like the Loki build, and possibly get an additional H100 or similar for the CPU. Your build looks good. Its a never ending process, there's always something to replace, upgrade or cleanup. I find the more experience I have fiddling around inside a case, the craftier I can get with the cable management. Corsair always has great pathways and tie down points for cables in their cases. There's always lots of good Ideas out there on sites like this for such things too. I have hankerings for doing a custom loop using the top handle area for tube routing, but for now thats just a pipe dream (literally). Keep it going! I dont know about you, but I get the itch to build something at least once a year. Sometimes taking the one I have apart (or at least partially) satisfies that itch. There are 3 - 3 pin fan connectors. However you can connect 4 pin fans to them. I would guess the speed levels work via voltage regulation vs PWM. Honestly I dont use the fan controller. Even on the lowest setting the SP120 fans are still running at an audible speed. Whereas using the motherboard and some fan speed software (speedfan)(havent really tried corsair link yet) and fan splitters, I can keep the fans at a lower RPM and they only crank up when the components get warm. With the cases fan controller you have to push the button to increase and reduce fan speeds. Not ideal when the computer is 10 ft away from where I'm sitting on the sofa. Automatic fan speed control is much better. This is just a tad overkill for a living room PC or is this the only one you have? By the way very nice build! Its my primary, but not my only. I slapped some parts together recently for the bedroom. I don't have a designated area for my 'office' at home. Since you put that 980ti in, does the Corsair H105 cooler play nice with it? Thanks for the reply. I was wondering how your h105 fit because everywhere I look it says that it can't fit because of the radiator width or did you move anything? I might put a h100i in the 380t if it won't fit. On my EVGA board, I had to trim down the 8 pin CPU power connector. I took some close shots of it that you can see in the photos. The pins are shrink wrapped but not as low as I trimmed the connector, so there are some bare terminals. As long as they dont touch each other or anything metal, they should be fine. Mine have been for over a year now, even after a few removals for cleaning etc. Every board is different in the layout, for example any ASUS board has a daughter board on that side, so using an H105 in the 380t with an ASUS board wont work. Other boards the memory looks like it will get in the way as its just a bit closer to that side of the board than the EVGA boards. So the H105 will fit with some modification, how much modding depends on the layout of the mother board. Thanks so much for clearing that up! I might just go with the h100i instead of modding a mobo. No problem, though in my case it wasn't a mobo mod, rather a power cable end mod. I simply took the pins out of the 8 pin power connector (making sure I knew where I pulled them out of) placed the connector in a vice, cut the top off with a hacksaw blade, and sanded it a bit to make it somewhat smoother. Effectively making it a low profile connector.This doesn't allow the connector to latch in anymore but the connection is pretty tight anyway, so I'm not worried about it coming out. I have a question. When you built this, did you use the Y-splitters you have to connect all your fans to the integrated fan controller? I've been debating on whether or not I want to get 5 PWM fans and just use splitters to connect them to the controller but I'm not sure if the controller can handle it or not and I can't seem to find specs for it anywhere. I want to utilize it since it's there and I like the flexibility of being able to control noise/airflow at the push of a button. Right now I have a 200mm Spectre Pro in front and 3x120mm fans in the remaining spaces but I was thinking it would be easier to maintain slightly positive pressure if I had uniformity throughout my case because I know that my 200mm isn't moving as much air as the 3 120mm fans are. Assuming you're speaking of the case's fan controller. No, I don't use it at all. It doesn't lower the fan speed enough to be a tolerable idle volume, at least for me anyway. It also doesn't allow for variable fan speed in relation to components. I have to push the button to increase/decrease fan speed, from the sofa that's not ideal. Next to you on your desk might be ok. I have the 2 side rad fans plugged into the cpu fan header on the mobo using a y-splitter, the aio pump plugged into the pwr fan header on the mobo, and the 2 front and 1 rear fan plugged into the cha fan header on the mobo using a 3-way splitter. A nice advantage of the evga itx boards is that they have 3 pwm headers (most itx boards only have 2). I use speedfan to regulate the fan speed, creating a couple custom fan curves in relation to corresponding components. I set the pump (pwr) fan header to 100%. With this setup and the right fan curves, its near silent at idle, sacrificing a few degrees for silence. Under full load the fans ramp up, but only to 70% on the 3 case fans and 100% on the rad fans. Even with the fans at these speeds, is pretty audible , but still tolerable in my opinion. I'm sure if it was right next to me on a desk it might be a little obnoxious, but that's what headphones are for. I totally get what you mean about the whole button thing when you're across the room. I actually have the Z97 Stinger WiFi and was using the headers on the board to control the fans when my system was in my 250D. I only migrated to this case so I could utilize the EVGA Hybrid cooler for my 980Ti. Anyway, I'm wanting to get the same fans you used actually, to replace my current fans and create better airflow in the case as well as a uniform aesthetic. 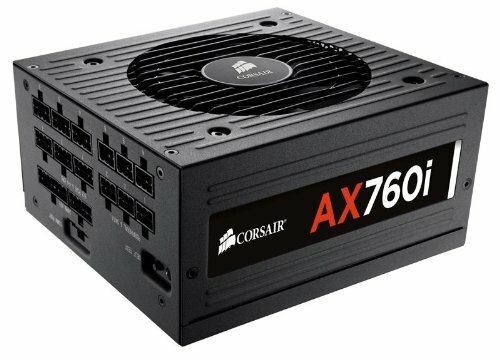 Naturally I wanted to go with Corsair PWM SP fans but was debating on whether or not to use them in the front because I like having an led fan in the front. I really wish Corsair made all their fans in PWM versions, but I digress. My current issue is that my fans that are connected to the controller are way too loud even at the lowest setting. I'm trying to figure out if the fan controller just runs the fans at too high of power at the lowest setting or if maybe it's my fans or something. I don't think it's my fans though because I already had them being controlled by my board before and they worked just fine. I don't want to have to skip on using the fan controller because it's awesome that it's there but if this is the case then Corsair seriously needs to make adjustments to it for it to really be practical. It seems to only have 2 speeds because there's literally no difference between settings 2 and 3. One last question, which splitters did you get because the ones I have will take PWM fans but the connector on the other end is only 3-pin. Also, I've never seen a 3-way splitter so it'd be nice to know where to get one or two of them (you never know). It would also be good to have some PWM 2-way splitters. If you could link me to them both, I'd appreciate it. I know what you mean about corsair's fan options. They need to have sp pwm fans in LED form too. The issue is the controller, mine is the same. It just doesn't lower the speed enough, and yes there's no real discernible difference between 2 and 3 with these sp120 pwm fans. I feel bad not using the fan controller too, but for me it really isn't practical. I feel that way about most simple fan controllers, theres just not enough control. Fan software like speedfan or even corsair link seems like the way to go. Fan speed should be automatic in relation to component temp, with the ability to turn it all the way up or down. I've not seen a built-in hardware fan controller do this. I think this is the 3-way splitter I got, I cant remember it was a while back and I cant find it in any of my order history: Phobya 3-Way Splitter A quick google search for 3-way pwm splitter or just pwm splitter should yield some results. I usually buy from newegg or amazon. Thanks for the help. Last question (for reals this time), did you use all SP120 fans or did you use those only on your rad and use AF120 fans on the other 3 spaces? I'm debating because I'm wondering if the mesh front will be too restrictive for AF fans and therefore reduce airflow into the case. I did decide, however, to get the Phanteks 6 fan hub. It connects via PWM to the motherboard but controls the rest of the fans via 3-pin connector. I was having too much trouble finding PWM fans and there doesn't seem to be any real benefit for the added cost. Voltage control seems to work equally as well, so I'm just going to buy a hub instead of splitters. It should make wire management a bit easier too. Back on point, I'm kind of stuck deciding between the fan types though. I've read that SP fans have a tendency to make more noise and are generally not used for anything other than restrictive spaces like rads or HDD cages. I'm thinking I should use all SP fans since I'm going to be adding another rad in the back of the case for my GPU and the front mesh seems like it might impede airflow for a regular AF fan. Thoughts? I used all SP fans, because I wanted the PWM and the uniformity. I don't have any AF fans to see if the SP's are louder or not. I'm sure there are plenty of reviews that will give you decibels of each. Coming from the 250d as well, I can tell you that the 380 is much less restrictive with air flow, unless you take the front filter and panel off of the 250 . Also anything in front of any fan will restrict to some extent. I also plan to add a GPU rad, but I will mount mine in front due to space restrictions from the H105. Planned to do this from the get go, so the SP fans made more sense for me. I did look at the AF fans too, but without the PWM I decided to go the SP route. Given what I understand about static pressure, the SP fans probably get better air flow through the front mesh. I would say in the overall scheme of things, if noise isn't an issue, the performance difference between the AF's and the SP's is probably negligible when used as case fans. With the SPs performing slightly better due to their higher static pressure, but they may be slightly louder. The performance editions of both AF and SP produce about the same amount of CFMs. So unless the fans are completely unrestricted, the higher static pressure should be better. This is all assumption based on my research and knowledge of the subject. I could be completely wrong. I'm just waiting for carsair to drop an SP120 led rgb ring pwm fan (think thermaltake riing but with programmable changing colors, SP performance and PWM) Feel free to ask more if you want. I dont mind. I wasn't aware the 380T fits a 240mm radiator, I probably would've bought this case instead of the 250d. Oh well. Fantastic white build! Thanks. The H105 I use is thicker than the H100 and newer similar models. I did have to do some modding of my 8 pin CPU connector to make it fit. Just curious. How Heavy would you say your PC with everything installed? 15 Lbs. Maybe? It feels similar to carrying my bowling ball. Could be a little heavier or lighter. Great to see a AIO GPU cooler could work. Out of curiosity do you think Corsair's/MSI's "Sea Hawk" or any regular AIO or Hybrid GPU would work? Yes, assuming same setup locations, the rad 'tanks' would need to be the same size or not very much bigger, as there isn't much room. So many pics but not a single one of the I/O ... how? Lol... Who wants to see the back? We all know what ports look like...right? Well with that logic who wants to see pictures 21, 22, 28, and 29? The purpose to seeing back of cases is to see how many expansion slots, and also see if the mobo has a weird I/O layout with all the audio ports and usb ports being red like MSI boards, or to see if the I/O shield is one like a low quality Z170 shield with those useless tabs, or to see if maybe the I/O shield is padded like a Z170I Stinger from EVGA, etc etc. Seeing cords?, Meh. Edit: forgot a space. The media library gets a bit big when filled with movies. They're set up in a raid 1 in an external usb 3 enclosure.